Nobody wants to see animals suffer. It doesn't matter if we are talking about pets, wildlife, livestock, working animals, animals in entertainment or animals in science -- no matter what our relationship is with the animals involved, we want them to have good lives. This is true of the hunter, the farmer, the rescuer, and the trainer. We all feel the same way. So it is no surprise that whenever animal abuse is publicized, it causes widespread outrage. How could it not? Horrific images or "video exposés" depicting animal cruelty, a longtime staple of animal rights activists, play to this sentiment, and have proven to be excellent tools for inflaming passions, galvanizing public opinion, and raising oodles of money. But once you have seen even a few animal rights campaigns, a disturbing pattern of sensationalism and deception emerges: Their videos show animals living in filth, and depict unspeakable cruelty as standard operating practice, rather than the sick -- and generally illegal -- aberrations they are. When campaigning to outlaw American farming or hunting practices, for instance, it’s not unusual to learn after the campaign that the images of mistreated animals shown on the film weren't even taken in the US but in developing countries; or to learn after the campaign that activists themselves participated in the on-film cruelty. Especially disturbing is how the most egregious cruelty is allowed to continue for weeks and months on end -- oftentimes encouraged by the so-called undercover activists, despite the fact that simply alerting an owner or the authorities could have stopped the cruelty immediately. To most people, these tactics make no sense, but it is important to remember that in the minds of those who view animal use as inherently wrong, regardless of how well animals are treated, the ends justify the means. The campaigns are about advancing an extremist agenda and raising funds. If the most effective way of doing it is by misleading the public and smearing a farmer, a dog breeder or a scientist, so be it. Given the widespread deception employed in animal rights campaigns, we have decided to keep a chronology of high profile animal rights campaigns and to provide clarity and a fuller account of the story to interested readers. 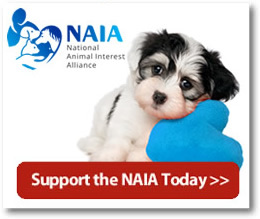 At NAIA we understand that animal cruelty exists, and we strongly condemn it. We also oppose the dishonest tactics used by some activists to paint some innocent people as abusers, and to change public policy by creating false perceptions. Our chronologies of quotes from the leaders of the animal rights movement and criminal acts committed in the name of animal rights or eco-terrorism are regularly cited as two of the best sources on the Internet. Please help us with this new project by sending cited examples of deception in animal rights campaigns to support@naiaonline.org so we can add to it. 1964, Newfoundland, Canada. In what has been dubbed "the film that started it all" by many serious observers of the animal rights movement, a man is shown torturing a seal in various ways, cruelly toying with the seal, and skinning it alive. It is a violent, revolting film that strikes the viewer at his or her core. Upon its release, it immediately and understandably turned the public against hunting seals. The only problem was that it depicted no ordinary seal hunt or any sort of standard, accepted hunting practices. The video wasn't even a sick aberration or "bad apple," used for propaganda purposes: the man who tormented the seal was paid by activists for his performance. One of the most shocking and famous videos used by animal activists is a complete fraud. In 1968 the Canadian Broadcasting Corporation (CBC) finally received a reprimand from the Federal Department of Fisheries for irresponsibility in not having investigated the authenticity of the film before it was broadcast over television. But nobody listened to this correction of error. It was too late. The entire world was now totally convinced that the seal hunt in Newfoundland was an extraordinarily barbaric event. People had seen it with their own eyes. 1981, Silver Springs, Maryland. In a campaign that made PETA a multi-million dollar organization and a household name, the lab of Edward Taub, an award-winning researcher, whose work has helped to greatly improve the lives of stroke and brain-injury victims, was infiltrated by Alex Pacheco of PETA, posing as an intern. After obtaining his job, Pacheco called authorities to the lab to see research monkeys living in filth. A media circus ensued, and Taub was charged with 119 counts of animal cruelty. The monkeys were removed from his lab and the National Institutes of Health (NIH) rescinded Taub's funding. "My reaction was, `Why don't you confront the gentleman and tell him what's wrong and have him fix it?'[...] After the raid, I knew there was something not too right about this [...] I felt that they were people who were against the research more than anything else." Furthermore, the veterinarian who previously had made regular, unannounced visits to the lab testified that the conditions Pacheco portrayed were like nothing he had seen during his inspections. It seemed that only PETA and their sympathizers were seeing cruelty and neglect -- not anybody who actually knew and worked with Edward Taub. If PETA had been hoping Taub wouldn't fight back, they were sorely mistaken. None of the 119 charges held up against Taubs. He was exonerated publicly and legally, and his funding was eventually reinstated by the NIH. Yet even today, the Silver Spring monkeys are used in animal rights campaigns, and you will not hear of Taub's exoneration, or the value of his work or the honors that have been bestowed upon him. 1997, East Brunswick, New Jersey. A saying you will hear time and time again from animal rights activists who employ "hidden video" tactics against animal enterprises they do not agree with (i.e. all animal enterprises) is that "The Camera Never Lies." This is what professional animal rights activist, Michelle Rokke (Rokae) of PETA, was counting on when she took New Jersey Veterinarian Howard Baker to trial in 1997. Rokke was hired as a veterinary assistant by Dr. Baker in 1996 while waiting to secure employment at Huntington Life Sciences, a job that also ended with videotape and a PETA campaign, this one aimed at biomedical research . Almost immediately, she began seeing Dr. Baker commit acts of "abuse" against the pets he was caring for. Rokke surreptitiously videotaped Dr. Baker, shooting hundreds of hours of tape with a camera hidden in her handbag. That tape was subsequently edited to less than three minutes by PETA, painting Dr. Baker in the worst possible light, and then sent to national media. The "cruel doctor" quickly became a fixture on television, and he received harassing phone calls and threats, as well as public accusations of animal cruelty. Animal cruelty charges were filed against Dr. Baker -- who had never received a complaint of mistreatment of animals by anyone in his 23-year career, and he was convicted of animal cruelty, losing his license to practice veterinary medicine. But after the media firestorm died down, the case was appealed, and when the facts and entire videotape were reviewed by a superior court judge, Howard Baker was exonerated, had all court fines and costs returned, and had his license reinstated. Why? Because while the camera never lies, the carefully edited activist video most certainly can. Rokke found rampant "abuse" where others found none, important facts were omitted from the edited video footage, and there was little corroborating evidence for her claims -- as well as firmly contradictory statements from animal experts (Rokke, for her part had no veterinary medical experience). One might reasonably question her sincerity and her motivation. If one truly believed that animals were being tortured, tormented and cruelly beaten, why wait one year to complain. After all, Rokae had by her admission surreptitiously taped approximately 200 hours of Dr. Baker treating as many as 2,000 animals. What the State saw fit to present as corroborative evidence was one 20-minute video tape of Dr. Baker's treatment of a Dalmatian named Dice on July 19, 1996. In that tape, which I have viewed numerous times, I see what has been called the x-ray room of the Village Veterinary Clinic. I see Rokae standing at the table with an apron on, Pluskota is in front of the camera partially obscuring what is going on. Dr. Baker is preparing to take an x-ray of the Dalmatian's leg. Parenthetically, this is a dog that Dr. Baker treated since he was a puppy and the doctor testified that he had never before had any trouble with him. The doctor takes the dog's leash which is a leash with a choker chain. The doctor then scratches the dog's hindquarters and affectionately ruffles his neck fur, all the time speaking to the dog in a high-pitched voice like baby talk calling him a fat boy, saying, "Who's a fat boy?" This goes on for a minute or so, the dog's tail is wagging and soon Pluskota is holding the leash and the dog sits. The doctor approaches the dog with a cloth muzzle in his hand saying to the dog ,"Don't be offended, everyone who goes on the table gets this." The doctor reaches down, the dog yips and lunges forward and pulls back almost simultaneously. The doctor's hands pull back and he moves out of the way, saying "He tried to bite me." Immediately the doctor slapped the dog on the top of the head, saying "Don't bite me, I'll bite you back." It was clear that the doctor was shocked by the attempted bite. He then pulled on the choker collar in an effort to (according to Dr. Baker) get his attention and show him "I'm not fooling around." The doctor then takes the dog into the next room to tranquilize him, saying, "You're going to get a needle." Several minutes go by and the doctor returns carrying this large dog in his arms, places the dog on the x-ray table and gently arranges his leg for x-ray. Two x-rays are taken — the balance of the tape shows Dr. Baker and Rokae casually conversing while the dog is still sedated. Reasonable people would find Doctor Baker's response to being snapped at understandable, if not ideal. It certainly does not paint a picture of the serial animal abuser he was portrayed as by his accusers, and his gentle treatment of Dice during the X-Ray procedure demonstrates care and professionalism. But nobody has ever accused Rokke or PETA of being reasonable, and facts did not prevent them from destroying Dr. Baker's reputation and career in order to further their own goals. Certainly, there is never an excuse for inhumane treatment of animals in an ethical society but we should never become so committed to a point of view that we overlook reason and what is necessary and, therefore, justifiable. That was done in this case. The convictions against Dr. Baker cannot stand and are hereby set aside, the defendant is acquitted. Despite his acquittal the reinstatement of his veterinary license, Dr. Baker's reputation was still tarnished, his career languishing. Frustrated that PETA's smear campaign still clings to him long after his exoneration, he unsuccessfully attempted to sue them for damages in 2004. "...the fact that I was exonerated seems to mean nothing." "I was in the grocery store a couple months ago and overhead people saying, 'That's the veterinarian who was charged with cruelty,'" he says. "People will call and make appointments and then call back and cancel once they've heard about me. I thought after a year or so I'd get back on track, but it's been three years and the practice hasn't taken off. It's just devastating. PETA's accusations follow me wherever I go." 1999, Washington, D.C. It would make for a great film. A kind-hearted low-level employee who cares for elephants who perform in the circus takes a brave stand and walks away from the job after he begins to question its morality. He becomes a crusader against the use of the "bullhook," and eventually has his day in court, bravely facing down his cruel former employer. The audience cheers -- of course they cheer -- everybody wants to see the little guy hit a home run against all odds for truth and justice. We know we would! At least that was the narrative the animal activists were trying to spin for the public. The only problem is: that's not how it happened at all in the case of Tom Rider and his former employer, Feld Entertainment. For starters, Rider was hardly the "little guy," as he had the backing of some of the heaviest hitters in the animal rights industry: organizations like HSUS and the ASPCA, whose campaigns bring in literally hundreds of millions of dollars each year... organizations philosophically opposed to the use of elephants in entertainment, who will say or do whatever it takes to stop it. This was no David and Goliath story. The combatants were evenly matched, and unlike the story of old, "David" was no hero. So Tom Rider did have his day in court, but it was nothing like what you'd see in the movies. In a strongly worded statement, this "hero" was found to be "Essentially a paid plaintiff," whose sole source of income had been provided by animal advocacy organizations involved with the lawsuit against Feld Entertainment during the entire nine years of litigation. Not only that, Rider, who claimed to have left Feld Entertainment due to its use of bullhooks in training elephants, was photographed using a bullhook, and worked with elephants in circuses after leaving Feld Entertainment, and could not identify elephants he had claimed to have formed emotional attachments to when shown images and video. Rider was found to be an "essentially paid plaintiff," and the conspiracy against Feld Entertainment was so egregious, they eventually filed a "RICO" suit against the ASPCA, AWI, HSUS, and many others for bribery, illegal witness payments, obstruction of justice, mail fraud, and money laundering. In late 2012, the ASPCA removed itself from litigation by settling with Feld Entertainment for $9.3 million, in 2014, HSUS and other co-defendants removed themselves from litigation by settling with Feld Entertainment for $15.75 million. 2009, Hurley, South Dakota. When Second Chance Rescue, along with HSUS and their cameras raided Dan Christensen's farm in September 2009, seizing 172 dogs, it was trumpeted as a great success. Even though officials said the dogs appeared healthy, HSUS crowed about how this was the fourth raid they had done in a week... and the worst, and charges were quickly filed against Mr. Christensen. HSUS felt like they were on a roll. But once word surfaced that the raid had been conducted illegally, based upon evidence gathered by animal activists unacommpanied by a licensed veterinarian, the case began to fall apart. HSUS quickly distanced themselves, minimizing their involvement and pulling their back-patting recap of the raid off of their website. Soon, a judge ruled that the search warrant used in the raid, executed by two animal control officers and agents from HSUS, was wrongfully obtained, and that the animal control officer “intentionally misled the issuing court by omitting material information in her affidavits and supplemental testimony.” unfortuntely, it was too late for some of the seized dogs: by February, 28 of the dogs under the care of Second Chance rescue had died. All charges against Christensen were dropped, but his health and reputation were greatly damaged, and he had to sell land and other property to cover his legal fees; he is currently suing HSUS for $5 million in damages. HSUS's internal emails and documents are part of the trial, but currently shielded from public view, as HSUS feels "public scrutiny before any determination of wrongdoing could unfairly damage the group’s reputation and fundraising effort." Christensen's lawyer noted the hypocrisy: HSUS had no problem whatsoever damaging Christensen's reputation by disseminating self-congratulatory photos and videos of their raid on his farm to the media before the verdict of any trial. 2010, Conklin Dairy Farm, Plain City, Ohio: In May, 2010, Mercy for Animals released a video depicting horrific cruelty at an Ohio dairy farm. Passions ran so high that law enforcement was forced to step in after threats were made to the farm. But as is so often the case, the carefully edited video didn't tell the whole story. The owner of the farm, Gary Conklin was spliced into the video in such a way as to make it appear that he participated in and encouraged cruelty, when in fact, he immediately condemned the barbaric behavior and fired the worker who was abusing animals. Despite an uproar in the media that included an open letter from a concerned celebrity, after seeing the entire, unedited video tape and hearing testimony from animal experts, a grand jury cleared Mr. Conklin of any charges of cruelty. The animal abuse captured on video was so obvious and egregious that a mere 30 seconds of videotape would have been enough to get the violent worker fired and cited for cruelty, but disturbingly, Mercy for Animals allowed the torture to continue for weeks in its quest for more footage. Even more bizarre, the undercover agent, a person who supposedly felt deep compassion for animals, kicked animals and poked them with a pitchfork in order to "maintain his cover!" Unsurprisingly, after hearing the entire story, the grand jury considered charges against the undercover agent. Alerting an owner or the authorities to such abuses could have put an immediate stop to the cruelty. 2017 Mashable Chronicles PeTA's most Outrageously Dishonest Ad Campaigns.